Exceptional care, sincerity, and concern for your health. Welcome To Peavy Chiropractic Clinic! At Peavy Chiropractic Clinic we are dedicated to helping you achieve your health goals to improve your quality and quantity of life! Dr. David Peavy, Dr. Joe Walters and Dr. Timothy Houseal are an expert team of chiropractors serving Hattiesburg, MS and surrounding communities. 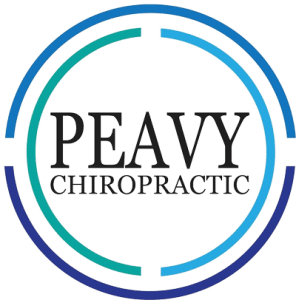 Our chiropractors and the rest of the friendly team at Peavy Chiropractic Clinic are dedicated to providing you solutions to target your unique health needs, whether you are suffering from back pain, neck pain, headaches, or if you just want to reduce your stress we are here to help you. You may have very specific needs for pain relief after experiencing an auto accident, a work related injury, or suffering from specific conditions such as chronic back pain or migraine headaches. Regardless of the condition, we will aim to provide you with the relief you are seeking. At Peavy Chiropractic Clinic, our mission is to help as many people in our lifetime as we can. We educate our patients about Chiropractic and other natural solutions to common health problems to provide the very highest standard of health care for you and your loved ones. We encourage and support you in taking a more active and responsible role in restoring and maintaining your own health as well as the wellness of people around you. Come Discover Pain Relief without Surgery or Drugs. Call Us At 601-582-3343 To Schedule Your Appointment!